Scientists have resolved pieces of a nearly 200-year-old evolutionary puzzle surrounding the group of mammals that Charles Darwin called the "strangest animals ever discovered." New research, led by the American Museum of Natural History, the Natural History Museum in London, and the University of York, shows that South America's so-called "native ungulates"--the last of which disappeared only 10,000 years ago--are actually related to mammals like horses rather than to elephants and other species with ancient evolutionary ties to Africa as some taxonomists have long maintained. Published online on March 18, 2015 in Nature, the findings are based on fossil protein sequences, which allow researchers to peek back in time up to 10 times farther than they can with DNA. "Fitting South American ungulates to the mammalian family tree has always been a major challenge for paleontologists, because anatomically they were these weird mosaics, exhibiting features found in a huge variety of quite unrelated species living all over the place," said Dr. Ross MacPhee, one of the paper's authors and a curator in the American Museum of Natural History's Department of Mammalogy. "This is what puzzled Darwin and his collaborator Richard Owen so much in the early 19th century. With all of these conflicting signals, they couldn't say whether these ungulates were related to giant rodents, or elephants, or camels--or what have you." Dr. Ian Barnes, research leader at the Natural History Museum in London and another of the paper's authors, explained, "Although the bones of these animals had been studied for over 180 years, no clear picture of their origins had been reached. An Indiana University (IU) cognitive scientist and collaborators have found that posture is critical in the early stages of acquiring new knowledge. The study, conducted by Dr. Linda Smith, a professor in the IU Bloomington College of Arts and Sciences' Department of Psychological and Brain Sciences, in collaboration with Dr. Anthony Morse, a roboticist from England, and Dr. Viridian Benitez, a developmental psychologist from the University of Wisconsin-Madison, and others, offers a new approach to studying the way "objects of cognition," such as words or memories of physical objects, are tied to the position of the body. "This study shows that the body plays a role in early object name learning, and how toddlers use the body's position in space to connect ideas," Dr. Smith said. "The creation of a robot model for infant learning has far-reaching implications for how the brains of young people work." The research article, titled "Posture Affects How Robots and Infants Map Words to Objects," was published on March 18, 2015 in PLOS ONE, an open-access, peer-reviewed online journal. Using both robots and infants, researchers examined the role that bodily position played in the brain's ability to "map" names to objects. They found that consistency of the body's posture and spatial relationship to an object as an object's name was shown and spoken aloud were critical to successfully connecting the name to the object. The new insights stem from the field of epigenetic robotics, in which researchers are working to create robots that learn and develop like children, through interaction with their environment. Dr. Morse applied Dr. Smith's earlier research to creating a learning robot in which cognitive processes emerge from the physical constraints and capacities of its body. A research team led by Dr. Karina Xavier at the Instituto Gulbenkian de Ciência (IGC, Portugal) has shown that bacteria living in the intestine both talk and listen to each other. Using small molecules in place of words, these microbial conversations changed the numbers of certain species of bacteria in the gut and started to repair the huge damage caused by lasting antibiotic treatment. These findings were published online on March 18, 2015 in an open-access article in Cell Reports. The same article will be published in the next print issue of Cell Reports and, because of its significance, will be highlighted on the journal's cover. The articles highlights the potential of using bacteria’s own language to communicate with, control, and exploit the multitude of microbes that live inside of the human gut. The article is titled “Manipulation of the Quorum-Sensing Signal AI-2 Affects the Antibiotic-Treated Gut Microbiota.” Bacteria were long seen as predominantly harmful organisms, responsible for many illnesses across the world. This picture has been changing over the last ten years. Scientists are now reporting many beneficial characteristics of certain bacterial species, particularly those living inside human bodies, in particular in the intestine. These microbes can be seen as tiny lodgers in the gut, helping the body to get the most out of ingested food and protecting from opportunistic invaders that cause disease. "When we lose some of these lodgers: by taking antibiotics or changing our diet, for example, the resulting imbalance in the community of bacteria can leave us at risk of infection, inflammatory bowel disease, obesity, or cancer," explains Dr. Xavier. Therefore, scientists like herself are keen to understand how these bacteria interact, and then use this knowledge to benefit human health. 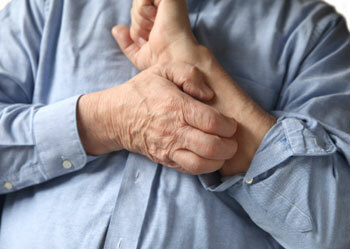 Sensing pain is extremely unpleasant and sometimes hard to bear, and pain can even become chronic. The perception of pain varies significantly depending on the context in which it is experienced. 50 years ago, neurobiologist Dr. Patrick Wall and psychologist Dr. Ronald Melzack formulated the so-called "Gate Control Theory" of pain. The two researchers proposed that inhibitory nerve cells in the spinal cord determine whether a pain impulse coming from the periphery, such as the foot, is relayed to the brain or not. A team headed by Dr. Hanns Ulrich Zeilhofer from the Institute of Pharmacology and Toxicology at the University of Zurich (UZH) has now discovered which inhibitory neurons in the spinal cord are responsible for this control function: As the study published online on March 18, 2015 in an open-access article in Neuron shows, the control cells are located in the spinal dorsal horn and use the amino acid glycine as an inhibitory messenger. The Neuron article is titled “Targeted Ablation, Silencing, and Activation Establish Glycinergic Dorsal Horn Neurons As Key Components of a Spinal Gate for Pain and Itch.” With the aid of genetically modified viruses, the research group from UZH managed to specifically interfere with the function of these neurons in mice. They discovered that disabling the glycine-releasing neurons leads to an increased sensitivity to pain and signs of spontaneous pain. Moreover, Dr. Zeilhofer's team developed viruses that enable these specific pain-control cells to be activated pharmacologically. Mice treated with these viruses were less sensitive to painful stimuli than their untreated counterparts. Activating these nerve cells also alleviated chronic pain. And the surprising additional result: "Evidently, the neurons don't just control pain, but also various forms of itch," explains Dr. Zeilhofer. Longer duration of breastfeeding is linked with increased intelligence in adulthood, longer schooling, and higher adult earnings, according to results of a study following a group of almost 3500 newborns for 30 years and published in an open-access article in the April 2015 issue The Lancet Global Health. [Note that there is an audio description of this research and the link to this audio is provided in the article, for which a link is provided below. There is also a commentary on the article, which you can also find in the article at the link below. Note, in particular, that the commentary suggests an alternative explanation for the results obtained. ] "The effect of breastfeeding on brain development and child intelligence is well established, but whether these effects persist into adulthood is less clear,"* explains lead author Dr. Bernardo Lessa Horta from the Federal University of Pelotas in Brazil. "Our study provides the first evidence that prolonged breastfeeding not only increases intelligence until at least the age of 30 years but also has an impact both at an individual and societal level by improving educational attainment and earning ability. What is unique about this study is the fact that, in the population we studied, breastfeeding was not more common among highly educated, high-income women, but was evenly distributed by social class. Previous studies from developed countries have been criticized for failing to disentangle the effect of breastfeeding from that of socioeconomic advantage, but our work addresses this issue for the first time." Dr. Horta and colleagues analyzed data from a prospective study of nearly 6,000 infants born in Pelotas, Brazil in 1982. 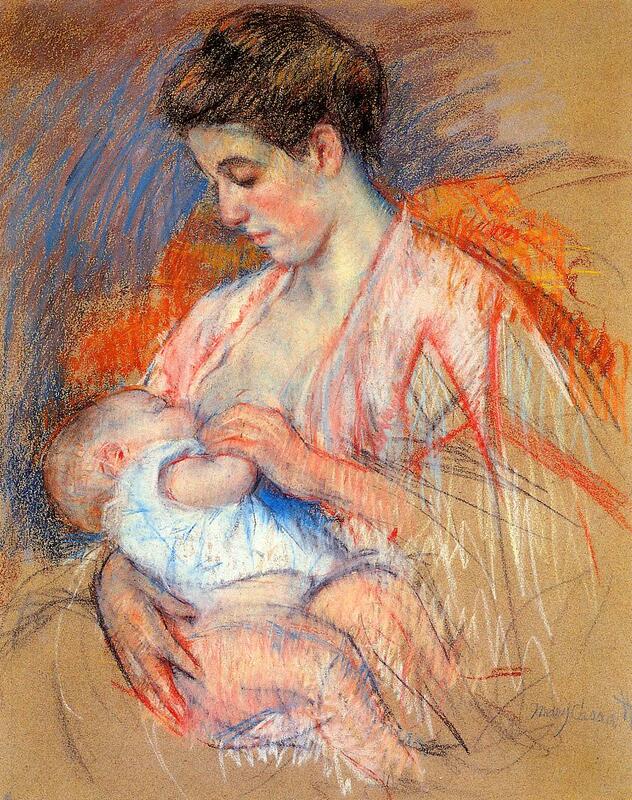 Information on breastfeeding was collected in early childhood. 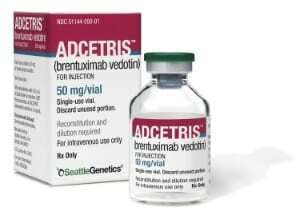 A phase 3 trial of brentuximab vedotin (BV), the first new drug for Hodgkin lymphoma in over 30 years, shows that adults with hard-to-treat Hodgkin lymphoma who are given BV immediately after stem cell transplant survived without the disease progressing for almost twice as long as those given placebo (43 months versus 24 months). The findings, published online on March 18, 2015 in The Lancet, are potentially practice-changing for this young cancer population that has exhausted other treatment options and for which prognosis is poor. "No medication available today has had such dramatic results in patients with hard-to-treat Hodgkin lymphoma," says lead author Dr. Craig Moskowitz, a Professor of Medicine at Memorial Sloan Kettering Cancer Center, New York, USA. Hodgkin lymphoma is the most common blood cancer in young adults aged between 15 and 35 years. Most patients are cured with chemotherapy or radiotherapy. However, for patients who relapse, or do not respond to initial therapy, the treatment of choice is usually a combination of high-dose chemotherapy and autologous stem cell transplant (ASCT)--a procedure that uses healthy stem cells from the patient to replace those lost to disease or chemotherapy. While about 50% of patients who undergo this procedure are cured, for the other half, treatment is only palliative. Malaria kills one child every minute. While medical researchers have successfully developed effective drugs to kill the malaria parasite, efforts to treat the effects of the disease have not been as successful. But that soon may change. In a groundbreaking study published in the March 19, 2015 issue of the New England Journal of Medicine, Michigan State University's (MSU’s) Dr. Terrie Taylor (photo) and her team discovered what causes death in children with cerebral malaria, the deadliest form of the disease. "We discovered that some children with cerebral malaria develop massively swollen brains and those are the children who die," Dr. Taylor said. Dr. Taylor and her research team found that the brain becomes so swollen it is forced out through the bottom of the skull and compresses the brain stem. This pressure causes the children to stop breathing and die. "Because we know now that the brain swelling is what causes death, we can work to find new treatments," Dr. Taylor said. "The next step is to identify what's causing the swelling and then develop treatments targeting those causes. It's also possible that using ventilators to keep the children breathing until the swelling subsides might save lives, but ventilators are few and far between in Africa at the moment." While increased efforts targeting malaria elimination and eradication have had some effect on malaria infection and illness, death rates from malaria are still too high, Dr. Taylor said. "It's gut-wrenching when children die, but what keeps us going is that we are making progress against this Voldemort [an arch villain in the Harry Potter series] of parasites," Dr. Taylor said. "It's been an elusive quarry, but I think we have it cornered." In 2008, GE Healthcare provided a $1-million MRI to the Queen Elizabeth Hospital in Blantyre, Malawi, where Dr.
Gyroscopes measure rotation in everyday technologies, from unmanned aerial vehicles to cell phone screen stabilizers. Though many animals can move with more precision and accuracy than our best-engineered aircraft and technologies, gyroscopes are rarely found in nature. Scientists know of just one group of insects, the group including flies, that has something that behaves like a gyroscope -- sensors called halteres, clublike structures that evolved from wings. Halteres provide information about the rotation of the body during flight, which helps flies perform aerial acrobatics and maintain stability and direction. But how do other insects without these sensors regulate flight dynamics, biologists have wondered? University of Washington (UW) research suggests that insects' wings may also serve a gyroscopic function -- a discovery that sheds new insight on natural flight and could help with developing new sensory systems in engineering. Published online on January 28, 2015 in an open-access article in Interface, the research was supported by the Air Force Office of Scientific Research. It was a key part of the successful proposal for an Air Force Center of Excellence on Nature-Inspired Flight Technologies and Ideas, a new UW center focused on understanding how elements in nature can inform the development of remotely controlled small aircraft. "I was surprised at the results," said Brad Dickerson, a graduate student in biology and co-author of the study. "This idea of wings being gyroscopes has existed for a long time, but this paper is the first to really address how that would be possible." Dickerson and another UW graduate student, Annika Eberle, conducted the research seeking to determine whether insects could use the bending of their wings to sense rotations of their bodies during flight. Each year, rice in Asia faces a big threat from a sesame-seed-sized insect called the brown plant hopper. Now, a study reveals the molecular switch that enables some plant hoppers to develop short wings and others long -- a major factor in their ability to invade new rice fields. The findings were published online on March 18, 2015 in Nature. Lodged in the stalks of rice plants, plant hoppers use their sucking mouthparts to siphon sap. Eventually the plants turn yellow and dry up, a condition called "hopper burn." Each year, plant hopper outbreaks destroy hundreds of thousands of acres of rice, the staple crop for roughly half the world's population. The insects have a developmental strategy that makes them particularly effective pests. When conditions in a rice field are good, young plant hoppers develop into adults with stubby wings that barely reach their middles. These short-winged adults cannot fly, but they are prolific breeders. A single short-winged female can lay more than 700 eggs in her lifetime. "The short-winged ones have great big fat abdomens. They're basically designed to stay put and reproduce," said biologist Dr. Fred Nijhout of Duke University, who co-authored the study with colleagues at Zhejiang University in China. But in the fall, as days get shorter and temperatures begin to drop -- signs that the rice plants they're munching on will soon disappear -- more plant hopper nymphs develop into slender adults with long wings. These long-winged plant hoppers lay fewer eggs, but are built for travel, eventually flying away to invade new rice fields. Until now, scientists did not know exactly how the shorter days and cooler temperatures triggered the shift between short and long wings, or which hormones were involved. A doctor who was one of the discoverers of the gene responsible for myotonic muscular dystrophy has now identified a therapeutic that could modify progression of muscle damage and muscle dysfunction associated with the disease - issues that cause patients significant disability and deterioration in quality of life. The potential treatment is an experimental drug currently being evaluated for treating other conditions, such as rheumatoid arthritis. In lab tests, mice with myotonic dystrophy that were given the treatment had better muscle function in tests such as running on a treadmill and had improved grip strength. In addition, their muscles became healthier and, notably, many even lived longer. While more testing needs to be done, Mani S. Mahadevan, M.D., of the University of Virginia (UVA) School of Medicine, is hopeful about the drug's potential in humans as well. "The nice thing about this therapy is that we know that it's already been shown to be safe, because clinical trials have already been done with it for other conditions. That's a big, big hurdle that's been overcome," Dr. Mahadevan said. "With a lot of drugs, the problem is that once you do these proof-of-concept studies, the drugs need to be developed a lot further, refined, and tested for safety and efficacy. But a lot of that work has been done, so therefore we can leapfrog the development of this therapy so that it can be moved into clinical trials sooner." Dr. Mahadevan, of UVA's Department of Pathology, has been conducting pioneering research into the causes of myotonic dystrophy, the most common form of muscular dystrophy, for more than two decades. His work revealed that the condition is caused by an expanding piece of DNA - a mutation that grows worse with each generation.